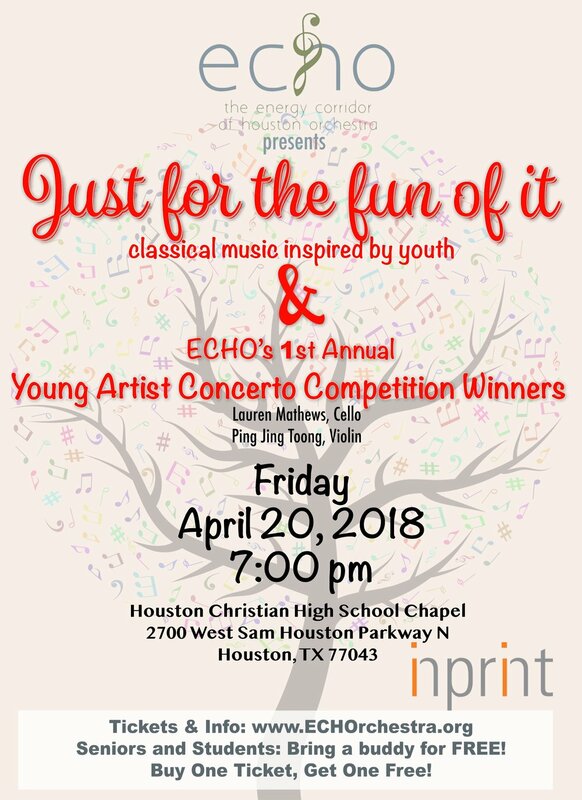 ECHO's annual Spring concert "Just for the Fun of It"
Performing works inspired by youth & Featuring ECHO's 1st Annual Young Artist Concerto Competition Winners! BONUS: Inprint Houston Poetry Buskers will be providing on the spot poetry for our guests starting at 6:00pm and until the concert starts. Poetry will be distributed at intermission!